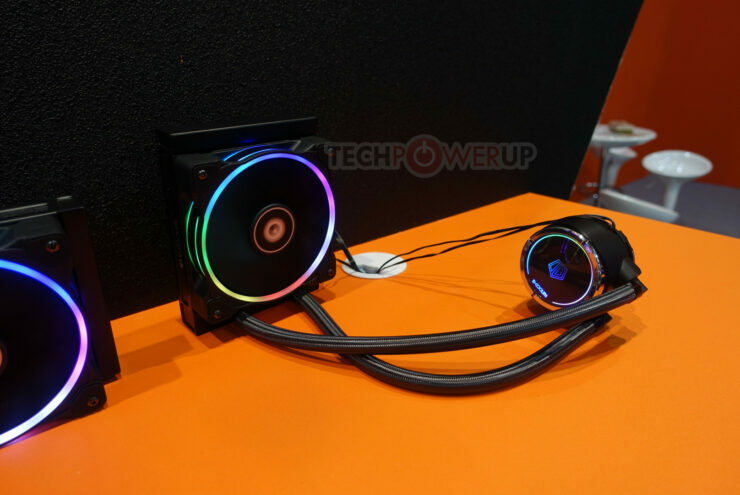 Their SE214-L tower cooler comes in three different varieties, the Snow Edition, as well as the -W, and -R suffixes (which stand for red or white LED lighting). 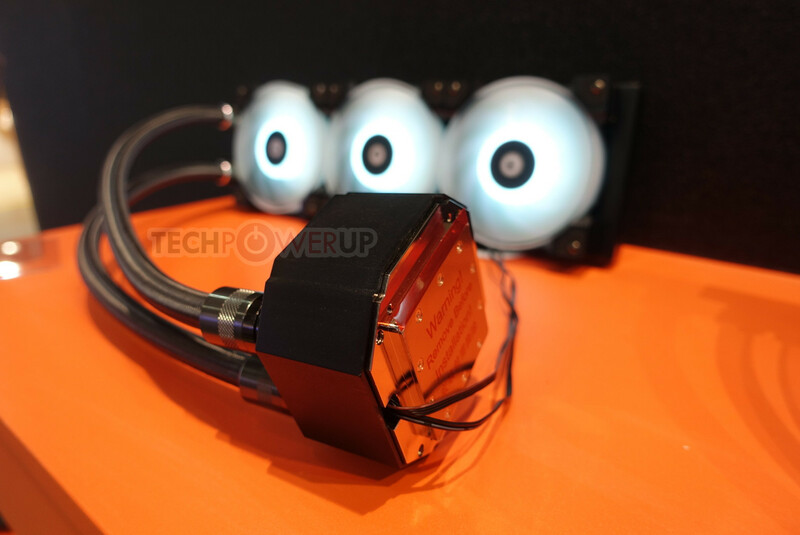 The major difference is the lighting, with the same 4-heatpipe design and 130 mm fan. 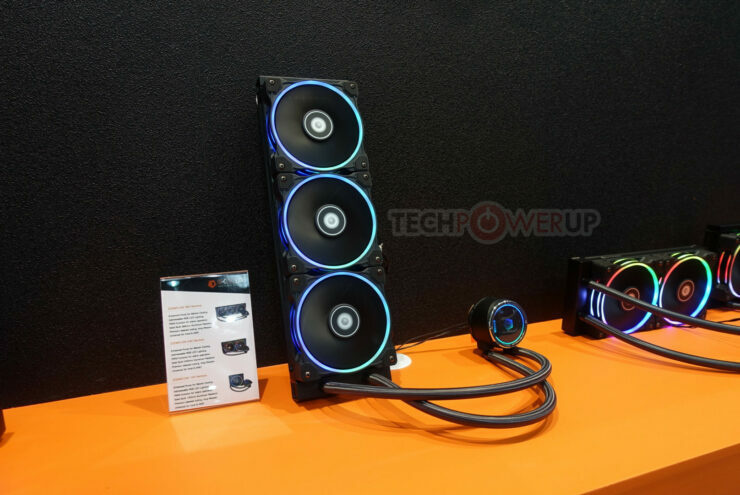 All of these tower cooler designs have universal compatibility with both Intel and AMD platforms. 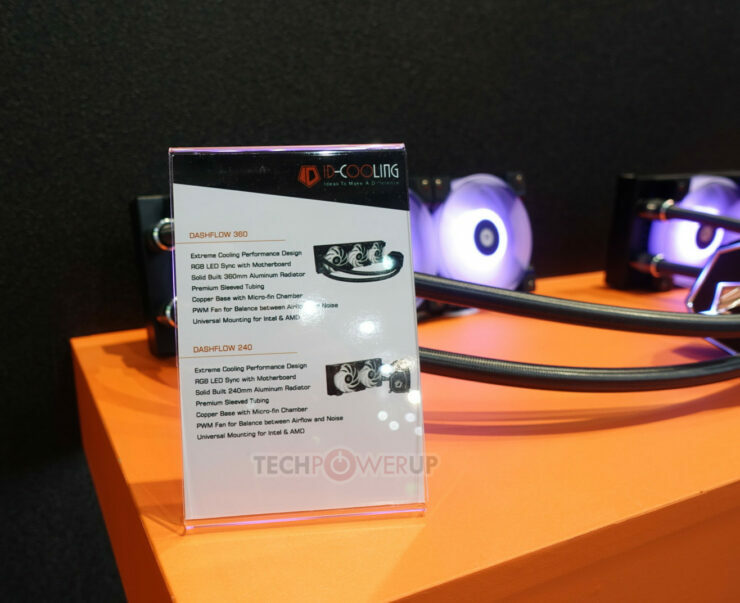 There were two families of products in their watercooling portfolio, all of them ranging from 120 mm radiator sizes up to 360 mm, with some differing functionality across families. 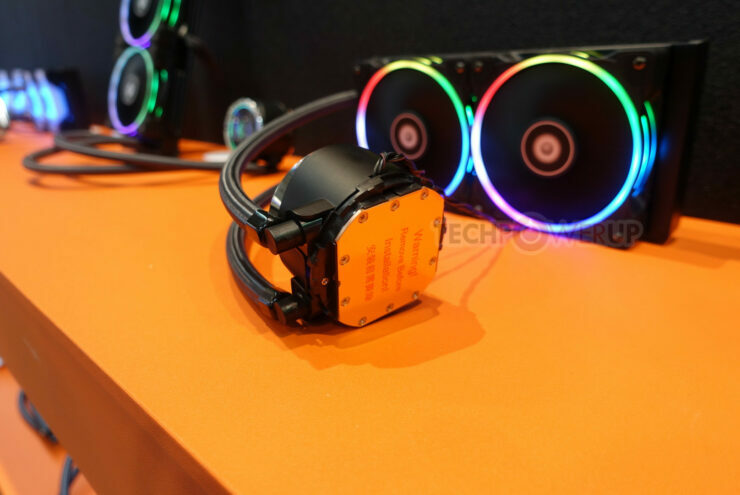 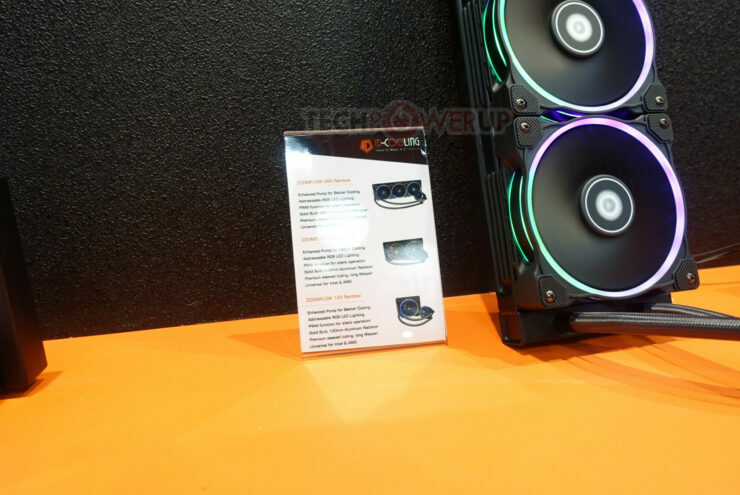 ID Cooling’s Dashflow is their top-tier performance and LED RGB product, and can synchronize its RGB color display via users’ motherboards with software like ASUS’s Aura Sync and Gigabyte’s RGB Fusion. 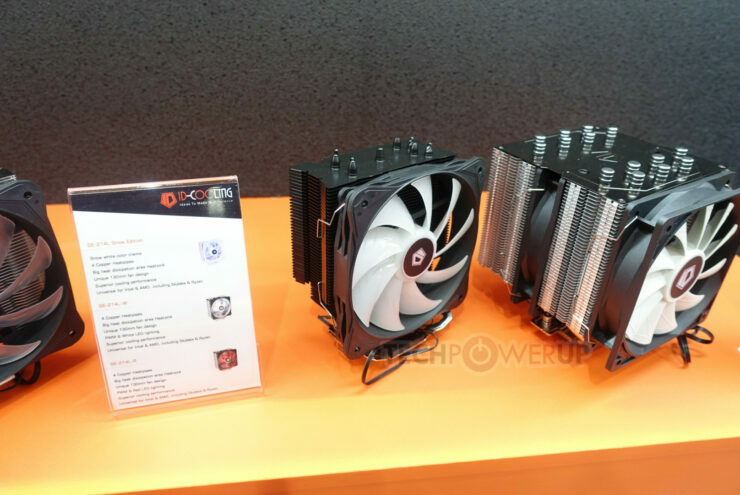 The copper heatsink features a high-performance micro-fin chamber for lower operating temperatures of the hardware being used. 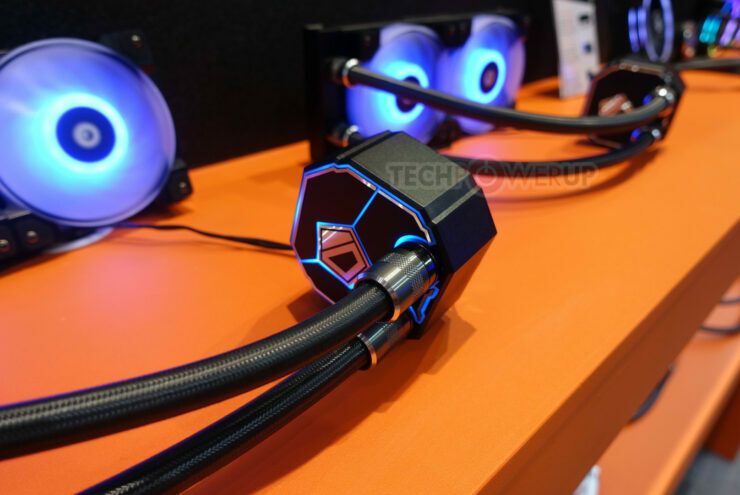 The tubing is pre-sleeved, and the radiator blocks are all made of high-quality aluminum. 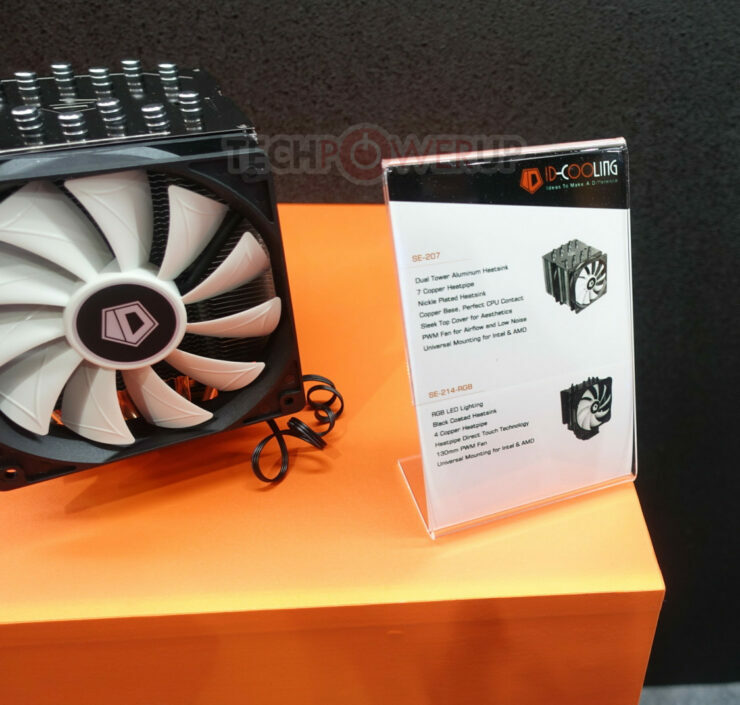 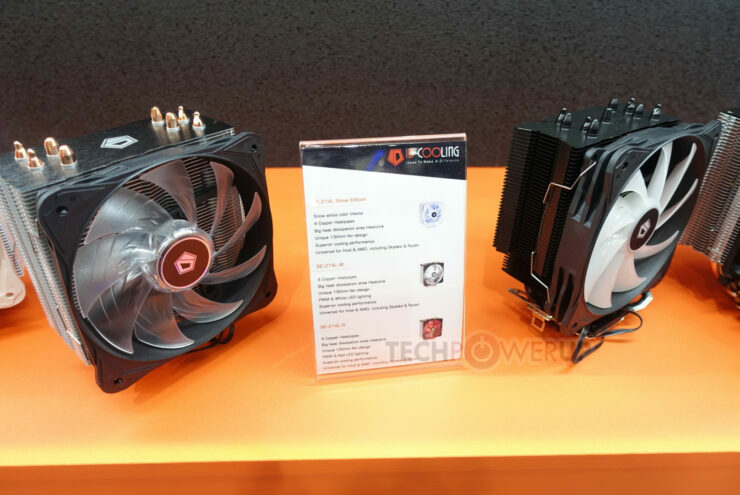 ID Cooling says the pump in the Zoomflow family has been improved for better cooling performance, and the PWM function allows for silent, according to cooling-needs operation. 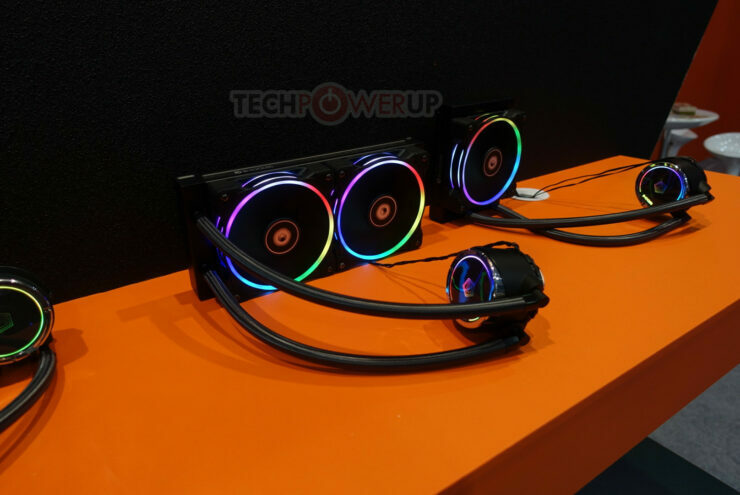 Finally, the Zoomflow Rainbow is a group of closed loop coolers with addressable RGB in the fans and water pump which allows users to fully customize the look of their build but lacks the RGB sync functionality present in the Dashflow as is the high-performance heatsink. 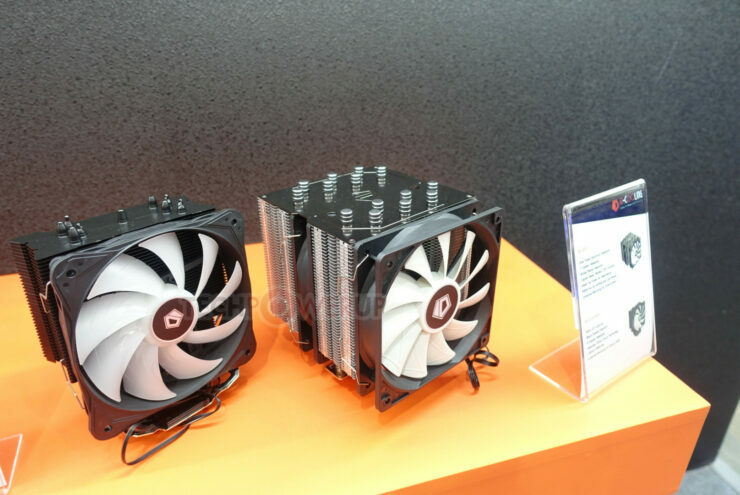 While ID Cooling remained silent about pricing we should expect to see these coolers out on the market soon.